Dave deBronkart’s experience with kidney cancer was the start of a journey that made him e-Patient Dave. He is now one of the leading voices for a movement to empower and engage people with medical conditions to become active participants in their healthcare. I recently interviewed Dave about his new book: “Let Patients Help! 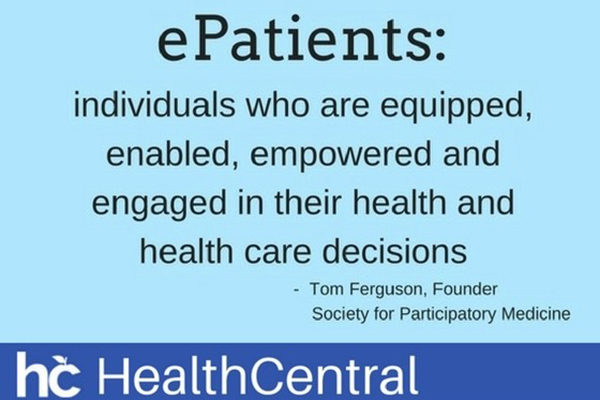 A ‘Patient Engagement’ Handbook — How Doctors, Nurses, Patients, and Caregivers Can Partners for Better Care.” The book is named after the ending chant of his TED Talk. In 2007, Dave was diagnosed with aggressive kidney cancer with a high mortality rate. He attributes his survival to two things. One was that his physician, Dr. Danny Sands, was a pioneer of the e-Patient movement and encouraged Dave to connect to others in the same situation. Through this patient network, Dave received information about coping with the side effects of his highly specialized and risky treatment. “I brought it to my oncologist and said “I found this. What do you think? This was the patient being a full working partner with the doctors.” After his recovery, Dave started to see that the vast majority of the world doesn’t know things like this are possible. He began blogging and speaking about his experience and the e-Patient community with whom he had become connected through Dr. Sands. 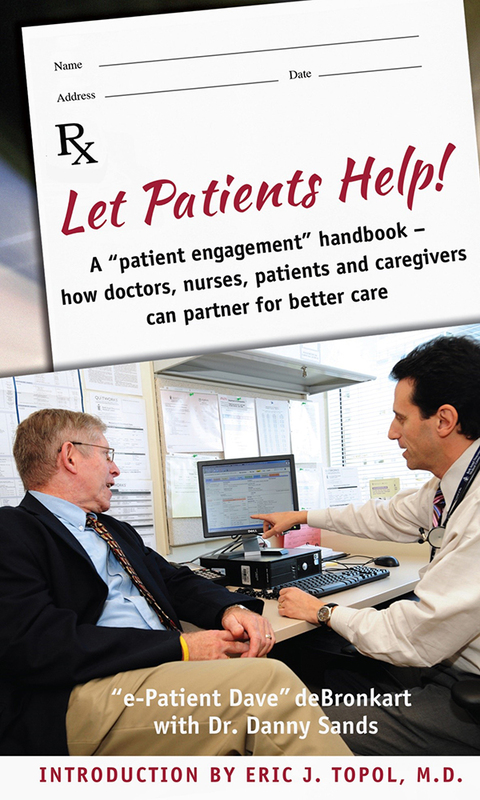 Dave’s latest book, “Let Patients Help!” is quite literally a handbook to teach patients and their loved ones how to become engaged and empowered. Dave recommends that anyone newly diagnosed with an illness who is looking for ways to help should “learn as much as you want about the disease and its treatment. Find out what you can do that might improve things.” Part of this process include connecting with communities of people with the same condition. “A good patient community can have lots of information that doesn’t reject the medical literature; it adds to it. And in some cases, like mine, it can make all the difference,” Dave said. Medical professionals are human, too, and may misunderstand or don’t get the right information into a record. In a setting where a lot of people have access to records, such as hospitals, things can get very messy and disorganized. One of the ways patients can help is by checking their medical records and making sure that they are accurate. OpenNotes is an international movement working toward making healthcare more transparent by having medical professionals share their notes with patients. Dave points out that it’s important for healthcare professionals to assist patients through the learning curve as they become empowered and engaged.